Mariner East 2, seen here being installed in Western Pennsylvania in 2017. With opening day just two weeks away, little girls in hooded sweatshirts and muddy cleats bounced around infields throughout West Whiteland Township Saturday at their first softball practice. But officials with the Exton Little League fear Sunoco’s accelerated plans for construction of the Mariner East 2 pipeline may end the season before it begins. “It just couldn’t come at a worse time.” said Greg Pfeifer, the league’s vice president for softball. The Exton Little League has known that the controversial pipeline could impact its fields at Meadowbrook Manor Park, a sliver of green space on Swedesford Road beside the Exton Square Mall. The league has been in discussions with Sunoco and Percheron, its contractor, for years, said Dave Stevenson, the league’s president. Stevenson said he’d been assured the work would not disrupt a season on the fields, which the league leases from the Meadbowbrook Manor Homeowners Association. 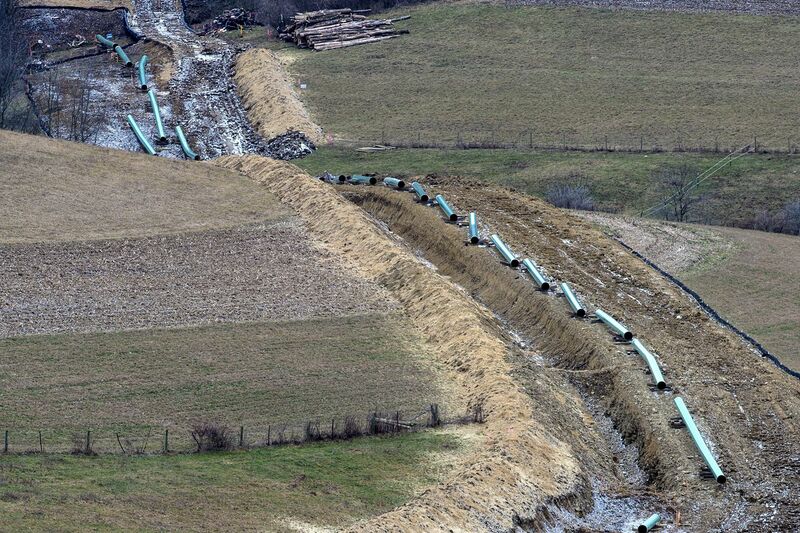 “On Friday, we were told they are planning on starting the work in two weeks,” Stevenson said Saturday morning, noting the pipeline project would dig right through the outfield. Vicki Granado, a spokesperson for Energy Transfer Partners, the Sunoco Pipeline LP’s parent company, said a “breakdown in communication" occurred between the company, the league, and the HOA. Stevenson said the league has already finished registrations and volunteers recently came to spread the new infield mix, which cost about $1,500. There are other fields in West Whiteland, Stevenson said, but many are already booked and require permit applications and approvals. The league has already scheduled 50-plus games at Meadowbrook Manor. Aerial view of Meadowbrook Manor Park in Exton. Approximately 100 girls ages 3 to 13 play in the league, Pfeifer said. The season would be over by late June or July, he said, which raises the question: Why can’t Sunoco wait a few months? Stevenson believes Sunoco is pushing the pace out of fear that an injunction could halt work. The pipeline is part of a $5.1 billion effort by Sunoco to move natural gas liquids to a refinery at Marcus Hook. A Sunoco community relations manager is expected to meet with West Whiteland officials Monday evening, Stevenson said.